Google Photos gets better with each and every update sent our way, and the most recent one is not different. Well, much to our chagrin it does not introduce a major new feature, but merely a nifty touch-up. You can now post your own comment right below a shared album or a separate picture, sharing your opinion on its content with all the contributors who have joined the album. Works on both iOS and Android. All things considered, it's nice, though we wouldn't call it a groundbreaking new feature even if you throw $1,000 at us. Emoji search is now also aboard. For example, input the "kiss" emoji, and the app will show you all the pictures of you and your significant other kissing. Cute! Additionally, the app now uses improved recommendation algorithms that will try to suggest better photos when you take lots of pics at a certain event or, say, a walk in the park. 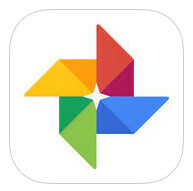 We suppose this will make the suggested collages and videos that Google Photos often makes on its own a tad more attractive and likely to be saved by the user. One of the best google apps ever created.